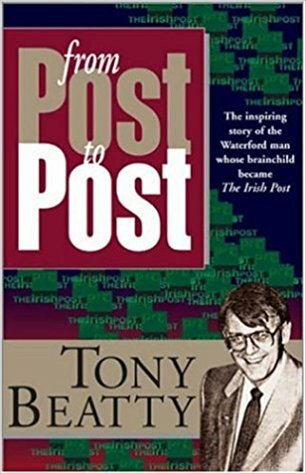 From Post to Post is Tony Beatty’s own life story. It is the inspiring story of a man who, from humble beginnings, achieved financial success but never forgot the needs of the Irish community in Britain to which he belonged. 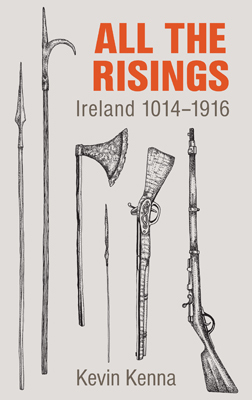 Tony Beatty was born in Kilmacthomas, County Waterford, in 1935. He left school before he was fourteen and began to work as a post office telegraph messenger and later as a postman in his local area. But lack of job opportunities meant that he, along with thousands of other young Irish people, had to take the boat for England in the late 1950s. A gifted sportsman, Tony Beatty achieved success at his level in soccer and also in his chosen career of accountancy. During a period of hectic business travel in the late 1960s it became clear to him that the Irish community needed a newspaper or magazine that would facilitate communication between its members in all areas of the UK: out of this realization the Irish Post was launched on Friday 13 February 1970. The newspaper’s annual competition for Irish Personality of the Year and later Sportsman of the Year meant that Tony Beatty encountered the leading Irish sportsmen and entertainers of the day; to celebrate the silver jubilee of his old Waterford club, Kilmacthomas AFC, he arranged exhibition with celebrated sportstars such as Irish internationals David O’Leary and Jimmy Conway in Kilmacthomas from 1976 to 1978. He also raised money for charities that catered for the Irish community and for the Irish Centre in London by arranging golf classics, even after the onset of multiple sclerosis meant that he himself could no longer play the game he had enjoyed so much.